The weather is warm, the flowers are blooming, and the bees are buzzing. It seems like the perfect picture–until you hear the buzzing right outside of your own window. Once a hive is near your home, you’ll need professional service to help with the bee removal process. If a hive is developing on your property, it’s important to understand what type of bee you’re dealing with. Is it a honey bee or an Africanized honeybee? An Africanized bee is smaller than a typical honeybee but they pack much more of a punch. Each bee will sting a person multiple times over, which injects more poison into their victim. This is the reason they’re so dangerous. They’ve also been known to group together and pursue a person up to ¼ a mile. If you notice you have African bees on your property, don’t approach them. Retreat and let a professional handle this dangerous situation. Bees can pose many risks to humans, particularly if someone has a bee allergy. While they typically mind their own business, bees can be extremely protective of their hive and will attack if someone gets close enough. A bee sting is painful and can cause swelling of the skin, itchiness, dizziness, and difficulty breathing. If you are stung, be sure to remove the stinger; a bee’s stinger will become lodged in the skin, but a quick swipe of a fingernail can take care of the problem. Another risk of being near a hive is swarming. If the entire hive feels threatened, they will swarm together, fly after an intruder, and attack all at once. This is a very dangerous situation for anyone—with or without a bee allergy—and can potentially be fatal if the swarm is big enough. If there’s a high risk of this happening, seek shelter immediately and call us. Getting rid of bees is important to avoid these risks. Remember, it’s always better to be safe than sorry! 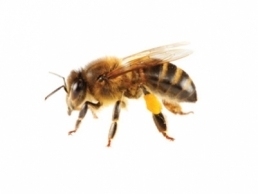 Any pest control situation requires an industry expert, and a swarm of bees is no exception. Don’t try to take care of the hive yourself using an over-the-counter pesticide. Not only is it ineffective, it will only aggravate the situation and put you in harm’s way. Maintain your distance and leave it to our bee removal experts. Contact us today!